March is the International Consumer Protection and Enforcement Network’s (ICPEN) Fraud Prevention Month. So now is a good time to be reminded how to protect yourself online. If you are shopping on an unfamiliar site, make sure you research it well before buying anything. Take a look around the website – it should give the name, physical address (not a PO box) and contact details of whoever is running the site. You can also check the site’s social media accounts – most legitimate businesses have an active online presence. Pop-up windows on websites can sometimes be used to fraudulently obtain personal information. Never input personal details into unusual pop-up windows unless you can verify that they are part of a trusted site. Checking reviews of a site is a useful way of working out whether it’s legitimate or not. Look up the site on a search engine to see if others have had negative experiences with the same business. While reviews are useful, don’t rely on reviews from just one website or forum, as they could be vulnerable to fake reviews. If many of the reviews use the same language or seem repetitive, this could indicate that they should not be trusted. If you’re buying something online, make sure that any payment you make is secure. Only use sites that have a secure payment section. You can check this by looking for a padlock symbol. You should also make sure the web address starts with https:// in the payment section rather than http:// (the “s” stands for secure). 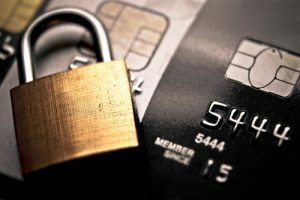 Most major credit card companies now also have secure online systems to give you additional protection. When shopping online, you should look for sites that have this extra layer of security. Phishing involves scammers trying to get people’s personal details – for example pin number, password, or credit card number. Phishing can happen by email, through a website, or social media, such as Facebook or Twitter. For example, you may get an email that claims to be from your bank, asking you to update your information or telling you there has been some unusual activity on your account. You could be asked for your bank account number, PIN, credit card number, or online banking login details. This is a scam, your bank will never ask you for your details in this way. Do not reply. Scammers might contact you by email or on social media and tell you that you have won a fantastic prize. These often relate to lotteries in another country. To claim the prize, you are asked to send on your bank details and the money will be deposited into your bank account. It’s impossible to win the lotto if you haven’t bought a ticket so if you get an email like this one ignore it. Even if you did happen to purchase a lottery ticket while abroad, ask yourself if you gave your contact details at the time. If you have been the victim of a scam, you should contact your local Garda station. Take a look at the ICPEN’s website to find out more about avoiding scams and Fraud Prevention Month.